What are the predictors of clinical success after percutaneous vertebroplasty for osteoporotic vertebral fractures? Denoix E, Viry F, Ostertag A, Parlier-Cuau C, Laredo JD, Cohen-Solal M, Bousson V, Funck-Brentano T.
A case of multiple myeloma presenting with diffuse osteosclerosis and multiple bone infarcts. Vignon M, Senot N, Bousson V, Meignin V, Frazier A, Arnulf B. Joint Bone Spine. 2017 Dec 9. pii: S1297-319X(17)30203-8. An open-label, prospective, observational study of the efficacy of bisphosphonate therapy for painful osteoid osteoma. Bousson V, Leturcq T, Ea HK, Hauger O, Mehsen-Cetre N, Hamzé B, Parlier-Cuau C, Laredo JD, Schaeverbeke T, Orcel P.
Dynamic contrast-enhanced MR imaging in osteoid osteoma: relationships with clinical and CT characteristics. Pottecher P, Sibileau E, Aho S, Hamze B, Parlier C, Laredo JD, Bousson V.
Advanced Knee Structure Analysis (AKSA): a comparison of bone mineral density and trabecular texture measurements using computed tomography and high-resolution peripheral quantitative computed tomography of human knee cadavers. Lowitz T, Museyko O, Bousson V, Chappard C, Laouisset L, Laredo JD, Engelke K.
Prediction of Hip Failure Load: In Vitro Study of 80 Femurs Using Three Imaging Methods and Finite Element Models-The European Fracture Study (EFFECT). Pottecher P, Engelke K, Duchemin L, Museyko O, Moser T, Mitton D, Vicaut E, Adams J, Skalli W, Laredo JD, Bousson V.
Radiology. 2016 Sep;280(3):837-47. doi: 10.1148/radiol.2016142796. Epub 2016 Apr 14. Peripheral hypertrophic neuropathy due to leprosy: Ultrasound and MR imaging findings. Pottecher P, Flageul B, Sibileau E, Laredo JD, Bousson V.
Museyko O, Bousson V, Adams J, Laredo J-, Engelke K.
Stochastic multiscale modelling of cortical bone elasticity based on high-resolution imaging. Sansalone V, Gagliardi D, Desceliers C, Bousson V, Laredo JD, Peyrin F, Haïat G, Naili S.
Cortical Bone Mineralization in the Human Femoral Neck in Cases and Controls from Synchrotron Radiation Study. Wu Y, Zhou L, Bergot C, Peyrin F, Bousson V.
Links between mechanical behavior of cancellous bone and its microstructural properties under dynamic loading. Prot M, Saletti D, Pattofatto S, Bousson V, Laporte S.
Characterization of knee osteoarthritis-related changes in trabecular bone using texture parameters at various levels of spatial resolution-a simulation study. Lowitz T, Museyko O, Bousson V, Kalender WA, Laredo JD, Engelke K.
Periosteum: characteristic imaging findings with emphasis on radiologic-pathologic comparisons. Bisseret D, Kaci R, Lafage-Proust MH, Alison M, Parlier-Cuau C, Laredo JD, Bousson V.
Deroide N, Bousson V, Mambre L, Vicaut E, Laredo JD, Kubis N.
Vertebral involvement in Paget's disease: morphological classification of CT and MR appearances. 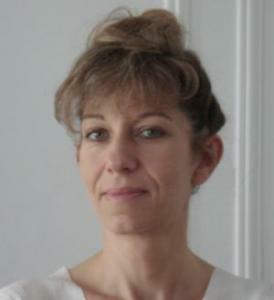 Dohan A, Parlier-Cuau C, Kaci R, Touraine S, Bousson V, Larédo JD. Multiple small sclerotic bone lesions revealing invasive lobular breast carcinoma. de Margerie-Mellon C, Kaci R, Laredo JD, Bousson V.
Joint Bone Spine. 2015 Mar;82(2):129-30.